CINCINNATI – Eric Hosmer led off the ninth inning with a home run to lift the San Diego Padres over the Cincinnati Reds 7-6 on Sunday night after a lengthy rain delay in the middle of the eighth inning. Hosmer took Raisel Iglesias (2-4) deep for his third homer in three days. 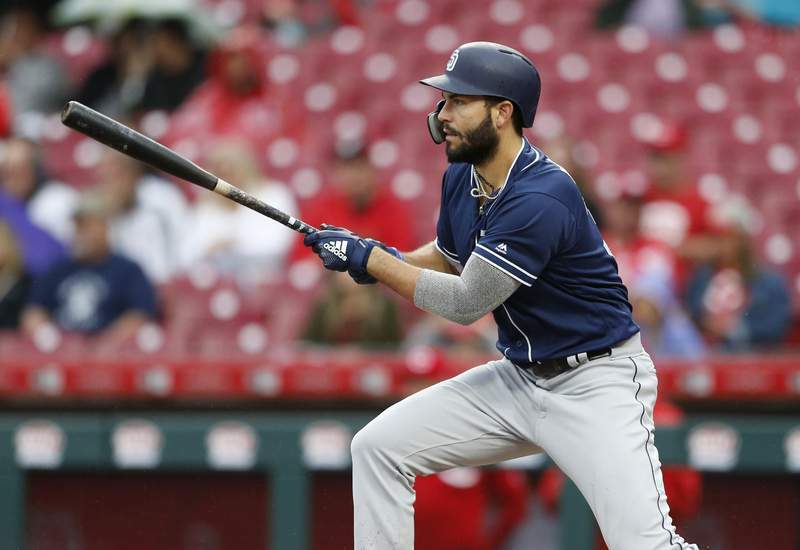 Austin Hedges and Luis Urias each hit a two-run homer to help San Diego overcome a three-run blast from Joey Votto and salvage a split in the soggy four-game series. Rain delayed each of the last three games of the four-game series, a total of 5 hours, 22 minutes of waiting.